Whether its premium Italian Honey, fiery habanera sauce from Mexico, or cost-saving briquette making machines for wood or metal mills, PMA International takes care of your product. PMA International is a dynamic trading company dedicated to moving the finest products from around the world. In today's global economy, we recognize the importance of international links and partnership, and at PMA International we professionally and efficiently move your product. We look to maximize the potential of your brand image, delivering its message the way it was meant to be delivered - effectively. What better place to have our head office located in the fresh, financially growing city of Toronto, Canada, the most multicultural city on the planet. Our staff is comprised of the new breed of business representative: young, educated entrepreneurs with international experience. Senorios de Relleu is the outcome of Eliseo Quintanilla Almagro's curiosity, experience and origin. Born into a farming family in rural Cartagena, he decided early on in life to work in the world of pharmaceuticals, studying plants in search of purely natural means of making people feel better. More than 15 years ago this led him to research the beneficial health properties of oleuropein, found in olive leaves. This was the start of a close bond with olive trees, a love he has wholeheartedly instilled into his youngest son Hugo since childhood. The Masia Teuladi farmhouse, built in 1918, is only 10 km from the sea and nestles in a valley of almond groves and Aleppo pines, where gentle Mediterranean breezes take the edge off the often harsh mountain weather. Here, among the terraces, is where Eliseo and Hugo set up Senorios de Relleu. The chalky day loam soil found in this area makes this the perfect spot for growing native varieties such as Manzanilla Villalonga, Blanqueta, Changlot Real, Alfafara and Genovesa, plus the non-native but very popular Arbequina. Native varieties have their very own style, which typically features an excellent aroma, a fresh fruity flavour of freshly cut grass, combined with balance, stability and complete harmony, allowing complex pairings to be made. With only two years of production, Senorios De Relleu has gained acclaimed recognition by recognized Olive Oil organizations accross the globe. Liaison Group discovers new ways to promote and advertise your idea. Variety of services offered allows us to address your needs personally and to the standard you are looking for. Let it be a promotional event, stationary design, or publishing, Liaison Group can assist you in many ways. At Liaison we feel that we have a competitive advantage over traditional nationally-based marketing companies because of the international diversity and background that comprises our staff. Our understanding of international markets makes us ideal for first understanding our client's needs, then translating those needs into a cost-effective, highly tailored marketing campaigns con't..
November 17, 2009 - Press Dispensary - LONDON - Think about a Cabernet-Sauvignon baguette, a Chardonnay muffin or even a fettuccine with a hint of Ice wine, but without a change in texture and offering many health benefits. Mark Walpole, highly acclaimed Canadian chef de cuisine, used to work around the Niagara region of Ontario (Canada’s best wine producing region) where he found such benefits in wine grape skin that he turned his discovery into a wholly new invention: a red wine coloured powder of delectable taste that is now launching for the first time in the UK. • High amounts of fibre which helps the digestive system. 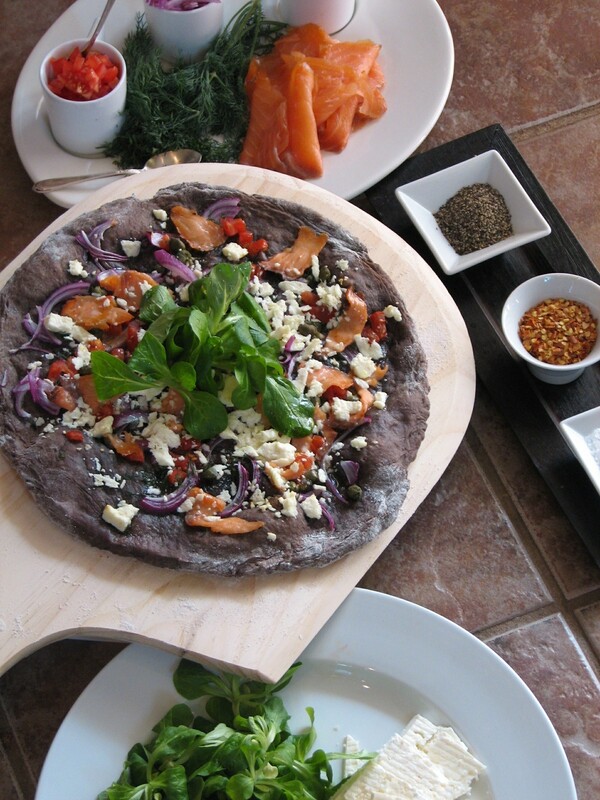 • Antioxidants which kill free radicals in the human body, those of which are responsible for cancer and other illnesses. 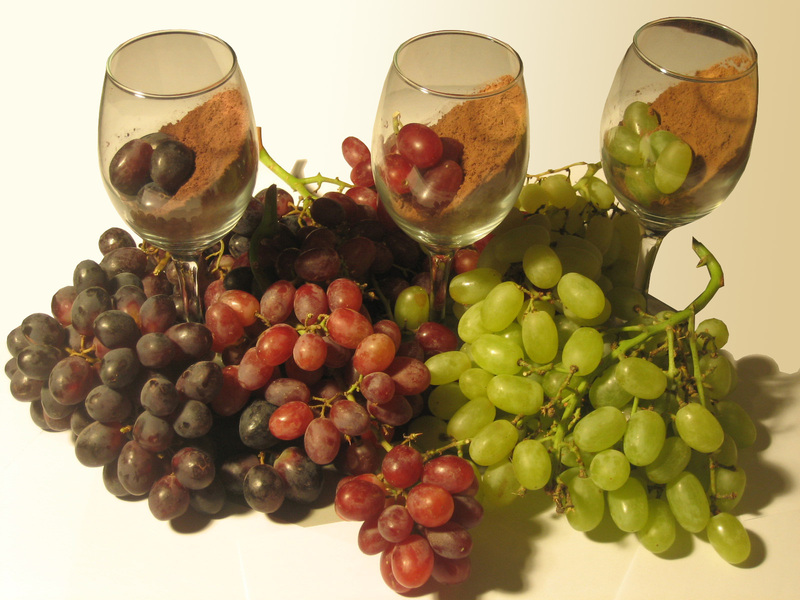 • Resveratrol, which prevents the clogging of arteries. • Omega 3, which can provide protection against cardiovascular disease, arthritis, skin conditions and depression. Salsa Huichol is an award winning product from Mexico, it is a mild Hot Sauce also seasoned with the best spices and hot peppers from the Nayar Mountains. 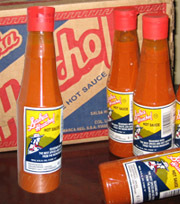 Salsa Huichol has the capability and potential of being distributed throughout the united states and on occasion has been exported to canada, spain and france.